Small size charities and Non-Government organisations (NGO’s) often struggle with their online presence as they’re unable to afford the hefty fees required by the majority of digital marketing agencies. 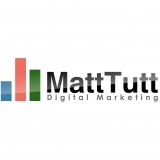 Matt Tutt Digital Marketing has helped various charities with free or heavily discounted services, from providing a new website to creating and managing a Google PPC campaign. You can take a look at some of the various digital marketing services I’m able to provide to charities and other non-profit organisations below. If you’re a charity or NGO looking for help with your digital marketing then just complete the enquiry form below – I’d love to be able to help you or your organisation out.